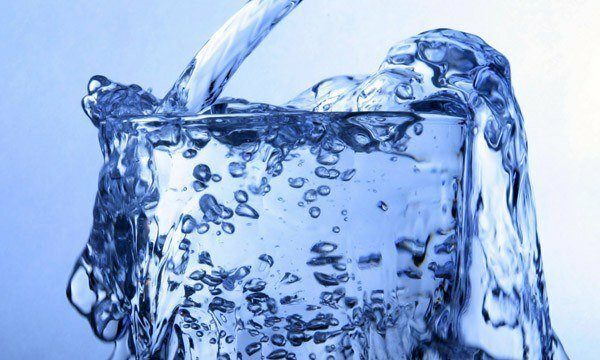 Hard water is water that contains ions have chemotherapy such as Ca2 +, Mg2 +, … Specific natural water are considered as hard if contained on three milliseconds equivalent grams of calcium cations (Ca2 +) and magnesium (Mg2 +) in a liter. Many countries have bitter + Mg2. The total ion content of Ca2 + and Mg2 + to the hard nature of the country. Temporary hard water: presence of bicarbonate and carbonate salts of Ca, Mg. This type of water when boiling would create salt precipitated CaCO3 and MgCO3. Permanent hardness of water by salt sulfate or chloride Ca, Mg generated. Salts are often hard to handle. In nature there are many water sources have low hardness, such as rain water-hardness of rainwater is almost zero. In addition, the hardness of the water of the River, and most of the ponds in the Delta also is very low because of their water source is rain water (maybe that was the cause for the majority of aquatic organisms poorly adapted to hard water). Conversely streams and ponds in the limestone mountainous region have relatively high hardness. Almost all ground water has a very high hardness. When decomposition reactions occur in body organism, this precipitated salts in body organism will not harm small. In humans, they are the cause of kidney and one of the causes of clogged arteries caused by lime residue in the closing in of the artery. Note that the salt CaCO3 and MgCO3 is precipitated salts and they are not seeping through the lining of the digestive system of the us, only the new Republic salt permeability. So hard water can only harm due to bicarbonate salts. However, when heat water only killed off CO2 and reducing the carbonate hardness of the water, the longer the amount of CaCO3 dissolved still exists in the country. In reality series adopt the method of chemical water treatment with the purpose of the combination of the ions Ca2 + and Mg2 + dissolved in water into insoluble compounds easily worried and filter. The chemicals used to soften water, lime, caustic soda, NaOH, Na2CO3 elucose, edible hyđrôxit bari Ba (OH) 2 sodium phosphate, Na3PO4. Choose to soften water by chemicals need to be based on source water quality and level of making software needed. In a few cases can match the water softener with iron reduction, reduction of silica, phosphate reduction. In addition each particular case must be based on the technical economic comparison between the methods, particularly with the method of making software by cationit. In principle, distilled water is H2O pure completely. Reduction of water's carbonate hardness by lime can be applied in the case also requires reducing the stiffness needed to decreasing both the alkalinity of the water. Soften water by lime and soda for food is the effective method for any ion composition of water. When the lime into water to be the hardness calcium and magnesium at a level equivalent to the concentrations of hyđrôcacbonat ions in the water. Technically, to be manufacturing nanoscale membranes which is a big step forward in terms of technology. With the eye ready with just the size 1/billion meters, filter results will be good. Not a bacteria or viruses that can penetrate through the membrane.